Dr. Massey is a native of Des Moines, IA. She graduated from Abraham Lincoln High School and received her undergraduate degree from Central College in Pella, Iowa. She received her Doctor of Osteopathic Medicine degree from Des Moines University in 2009. 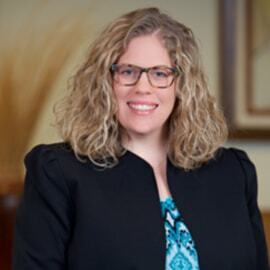 Dr. Massey completed her residency in OB/GYN in Columbus, Ohio, in affiliation with Ohio University in 2013. Following completion of her training, she immediately joined West Des Moines Ob Gyn Associates. Dr. Massey is board certified by the American Osteopathic Board of Obstetrics and Gynecology. Dr. Massey and her husband, Brad, and their daughter, reside in West Des Moines. In her free time, she enjoys hiking, cooking and traveling.